"When definition with power is key, don’t sleep on these Bartolini!" Kevin Jones is a Texas born musician currently residing in Brooklyn, NY. He holds a Bachelors of Music in Composition from Stephen F Austin State University where he studied under Dr Stephen Lias, composition, and Dr Jeffrey Jacobsen, Grammy Nominated jazz bassist. Kevin has performed in several different ensembles over the years including; jazz, praise and worship, orchestra/classical, singer/songwriter, metal, and many sub-genres of rock. When not playing his bass, Kevin is composing original music for film. He has worked on films from directors spanning the globe from CA, USA to Australia. Since moving to Brooklyn, NYC Kevin has had the good fortune to play bass for Off-Broadway productions, has become an official MTD Artist, and has toured the USA extensively as well as Internationally with a variety of musicians while on bass and providing backing vocals. 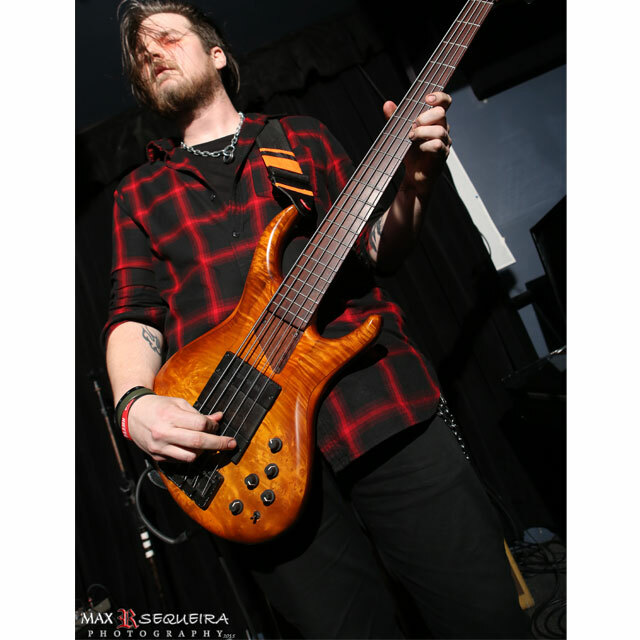 He is proud to be added to the Bartolini Emerging Artists roster alongside some amazing musicians and looks forward to what the future holds for him and his Bartolini family.